Surya - The Sun was recognised as the source of light and heat even in ancient times. The importance of the Sun was much more in the higher latitudes from where the Aryans are supposed to have migrated into India. Many royal dynasties potrayed symbols of virility like the Sun, Eagle, Lion etc. as their progenitor. 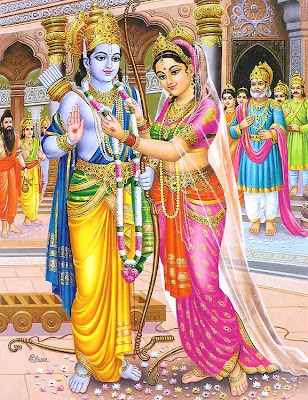 Rama's dynasty considered themselves to have descended from the Sun. This could have led to the tagging on, of Rama's birthday to a festival devoted to the sun.